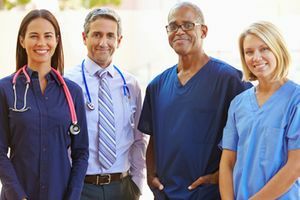 KeyMed Partners Physician And Hospital Services - KeyMed Partners, Inc.
KeyMed Partners specializes in providing ongoing management of billing and receivables for their clients to increase realized revenues and improve cash flow. Our customized services range from electronic billing and posting; insurance reimbursement follow-up and workers' comp clean-up; to patient customer services and self-pay pre-collect programs. KeyMed specializes in providing ongoing management of billing and receivables for their clients to increase realized revenues and improve cash flow. Our customized services range from electronic billing and posting; insurance reimbursement follow-up and workers comp clean-up; to patient customer services and self-pay pre-collect programs.